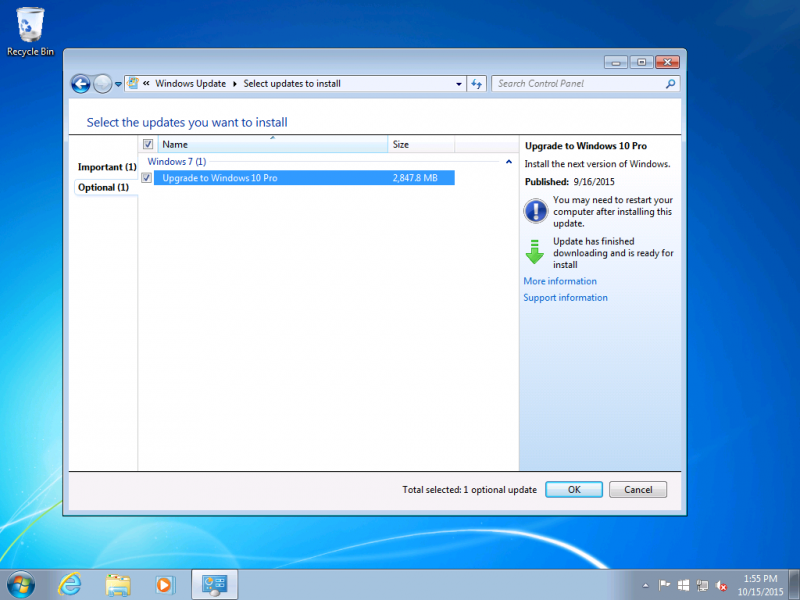 Over the past couple of days, some users have noticed (and complained) that their Windows 7 or 8 system has been upgraded to Windows 10 automatically thanks to Windows Update. The issue arose after Microsoft listed Windows 10 as an "optional" update in Windows Update. Normally optional updates are unticked, meaning a user has to select them manually or they won't be installed as part of an automatic update routine. However Microsoft accidentally ticked the update when it was listed, so it began to automatically install on some systems. Luckily the Windows 10 installation process requires user intervention, so a savvy user could have easily aborted the update and returned to using Windows 7 or 8. However some users may have proceeded with the installation not fully realizing what was going on, leading to a big surprise when their computer's operating system drastically changed. In a statement released to Ars Technica, Microsoft admitted that the update was "checked as default", which "was a mistake and we are removing the check". The company also said that they decided to list Windows 10 in Windows Update as the service is an intuitive and trusted way to receive updates.